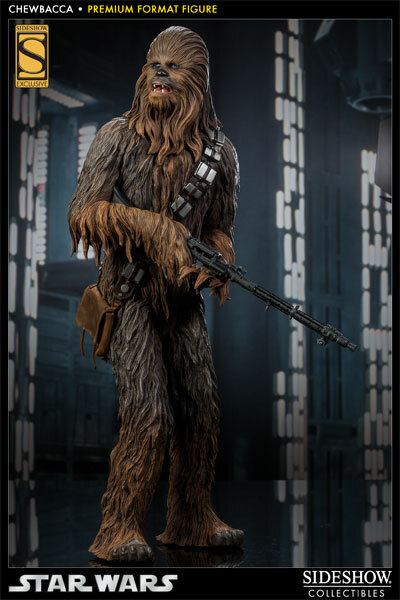 Sideshow Collectibles is proud to present the latest addition to our Star Wars collection, the Chewbacca Premium Format Figure. 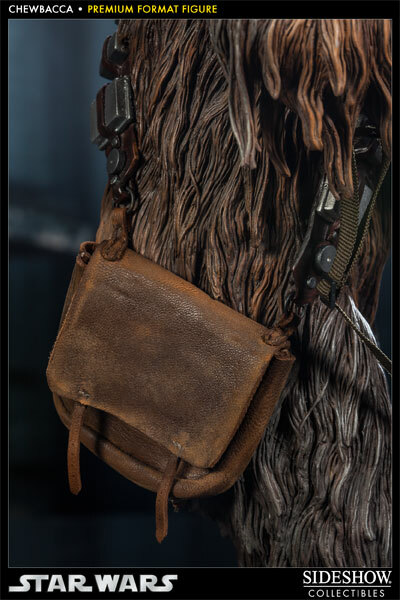 Long-requested by Star Wars collectors, everyone's favorite walking carpet features intricately-sculpted fur and Chewie's signature satchel, crafted in simulated leather. 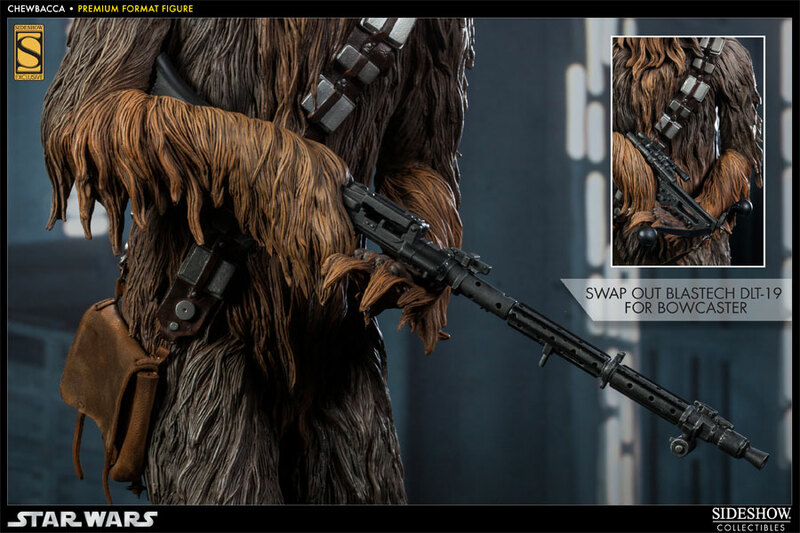 With his trademark bowcaster at the ready, the Sideshow Collectibles Chewbacca Premium Format Figure makes it clear that it's not wise to upset this Wookiee. 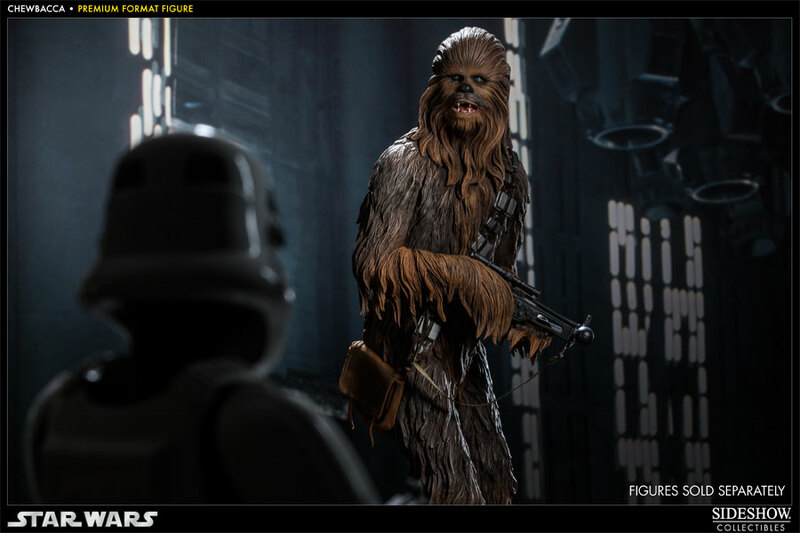 (c) 2013 Lucasfilm Ltd. & TM. 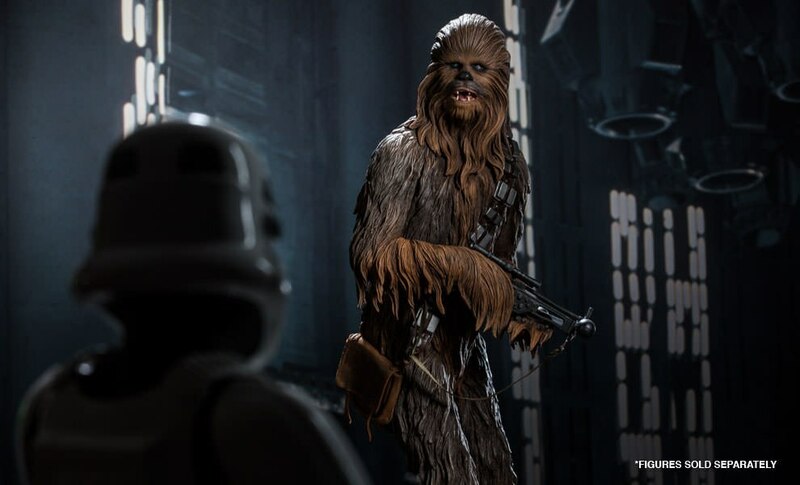 Pay as little as $192.50/mo. wow!!!! 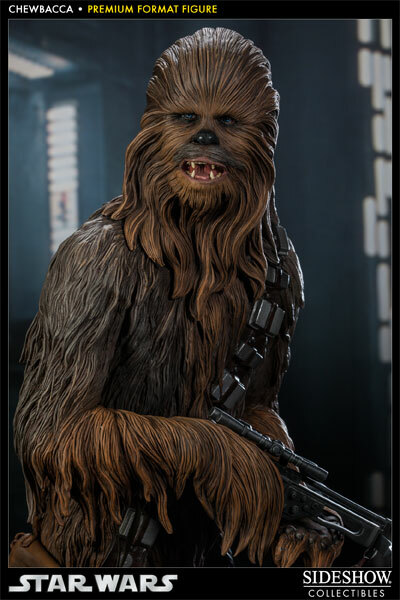 I,love this chewy. 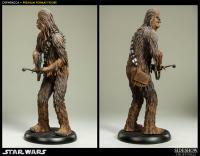 Its huge, Detailing is amazing.great job to all the artists. 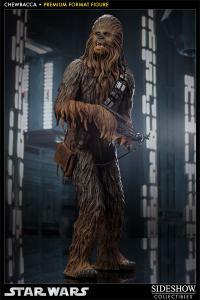 thank you :-) now i, can use a 1/6 scale chewbacca figure to fill out my collection. 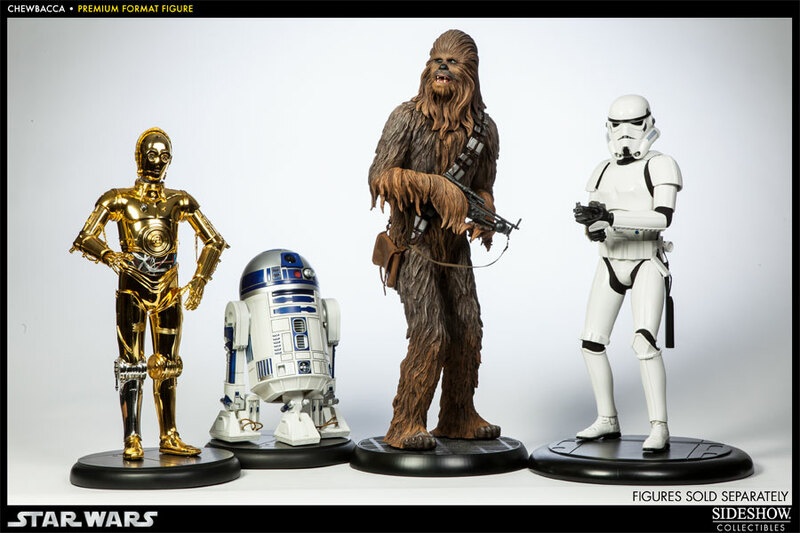 Would look great next to the han and luke hoth figures ive preordered. How bout it sideshow????? At last we have the mighty Chewbacca! 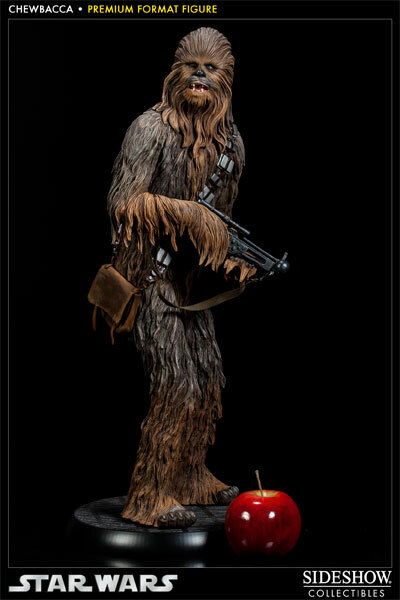 This is an awesome depiction of Chewie. 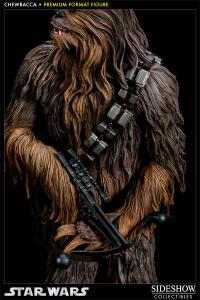 The likeness of the face is very accurate, and the paint deco is subtle on the sculpted fur. 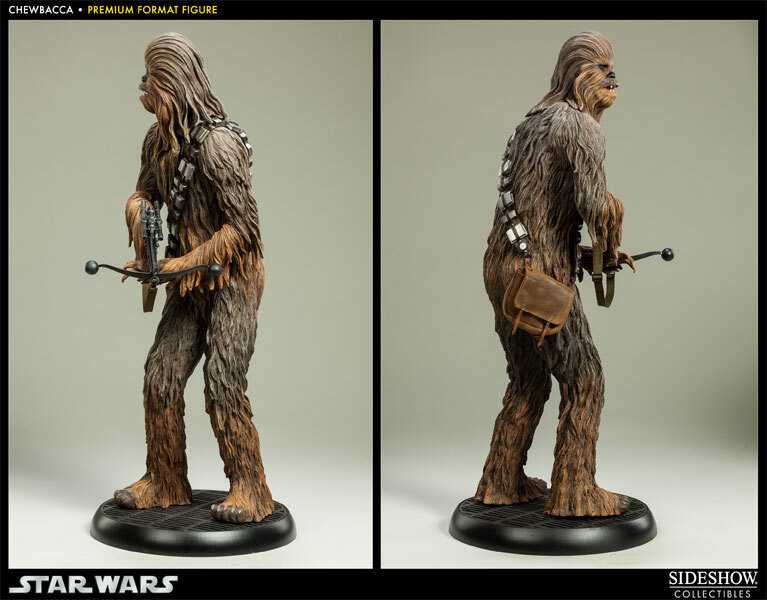 I think the pose is well-suited to conveying Chewie's character. Highly recommended for any Wookiee fan.